We will start city tour in Ulaanbaatar including Main Square Sukhbaatar Chinggis Khan’s monument and National History Museum. Visit to Gandan Monastery, the heart of Mongolian yellow head Buddhism. Shopping at cashmere and souvenir shops. After lunch visit to Winter Palace of Bogd Khan, built between 1893 and 1903. The area is a spectacular valley with high-eroded rock formations, pine covered mountains and grasslands carpeted with perennial wild-flowers and edelweiss. 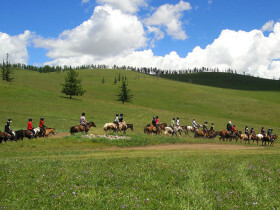 After lunch at the tourist camp, horse riding tour in Terelj area. 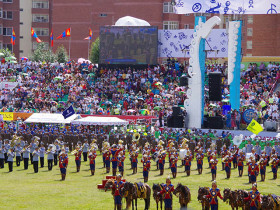 The Naadam Festival is held all over the country, normally between 11 and 13 July and it is inherited from ancient time. Naadam Gala dinner and a folk concert in the evening. 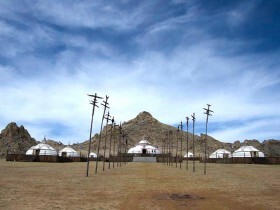 You can try to wear Mongolian traditional customs & emperor’s outfit, Archery and ride horse and camel. Lunch at the complex. Continuing the trip to Terelj National Park and free stops on way for see Golden whip Chinggis Khaan Statue Complex. Nowadays getting to Mongolia from different parts of the world is becoming easier. We arrange everything including booking of air ticket from all countries over the world to Mongolia and domestic flights. The Trans-Mongolian Line of the Trans-Siberian Railway links Mongolian capital, Ulaanbaatar with Moscow and Beijing. Travelling by train is very promising for the tourists who want to discover the beauty of Mongolia. You can book international and domestic train ticket through us. 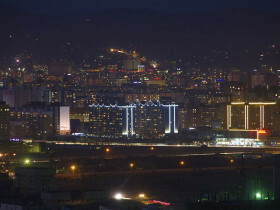 We offer a wide range of accommodation options from top-class hotels, motels and guest houses when you stay in Ulaanbaatar city. 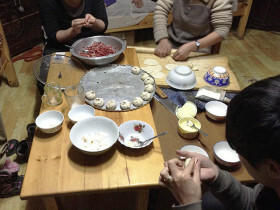 In other attractive tourist places (out of Ulaanbaatar), you can stay in exclusive lodges and tourist Ger camps (Mongolian traditional dwelling). We are introducing you the tourist camps that are located near main attractions. It is available to have chartered rent vehicle when you come to Mongolia for business, for a meeting /conference and optional short trips. We would like to recommend you the following cars for renting. We have professional, well- experienced and knowledgeable guides who can manage tour activities during the trips. Copyright © Mongolia local travel agency | ALTAN TOUR All rights reserved.